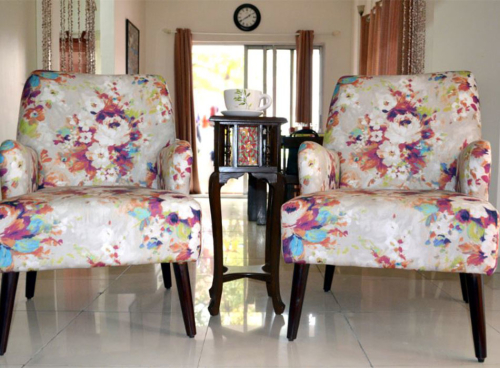 Rock the 70’s look with a curvaceous Ashley in your living room! 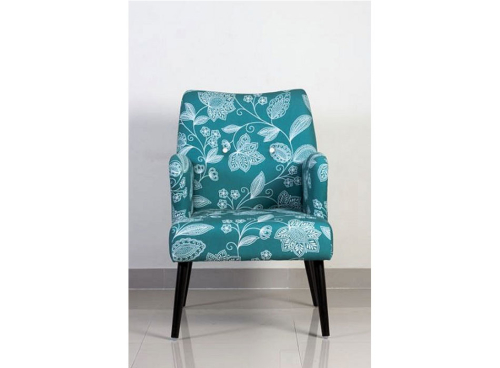 Call it an artist’s muse, you just can’t get enough of this dexterously hand crafted round bucket seat armchair with clean and straight rounded diagonal legs! Designed in stunning hues of white-yellow/yellow-grey polka dots, the well thought-out U shaped bucket seat creates a lasting impression on your guests. 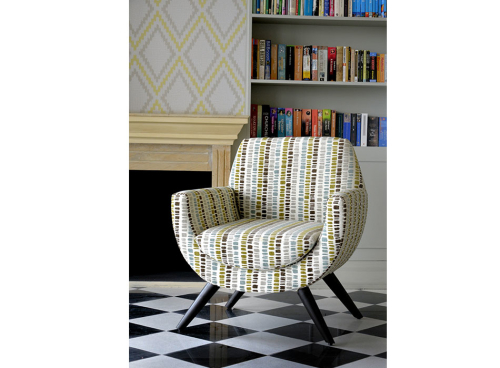 Re-create the perfect retro look in your homes with an eclectically upholstered Ashley. Better still, go for a pair and see men and women swooning over them alike! Ethereal – check. Chic – check. A mellifluous rendition crafted in beautiful silhouettes, the Piccadilly with its shapely armrests and angular mid-century legs exudes comfort in every detail. 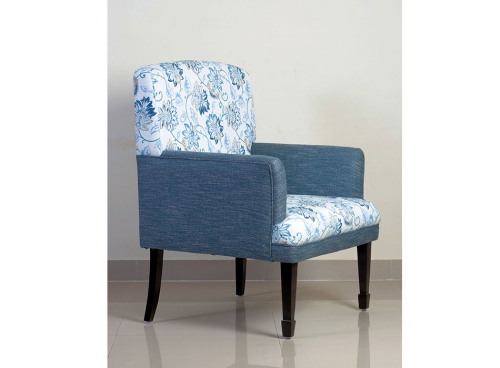 This petite armchair is your ideal accompaniment for a gossip session over high tea with your girls or for simply unwinding with a book. 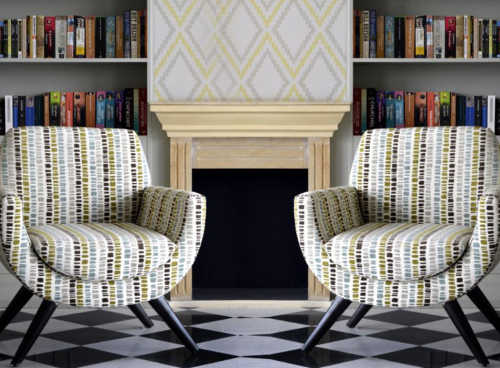 Choose from a wide range of solid, floral, or geometric prints for your Piccadilly that will accentuate any cosy corner and weave a colour story around your home aesthetics. Idyllic barns, patchwork hills, quaint cottages, winding roads, and Shakespeare – revel in the rustic beauty of the English countryside with the Ascot any time of the day – skilful welting along the outer edge of the arms and the seat, a wide backrest, and attractive mid-century exposed legs. The best part about the Ascot – It’s just the perfect accompaniment to a cup of coffee and a mystery novel! 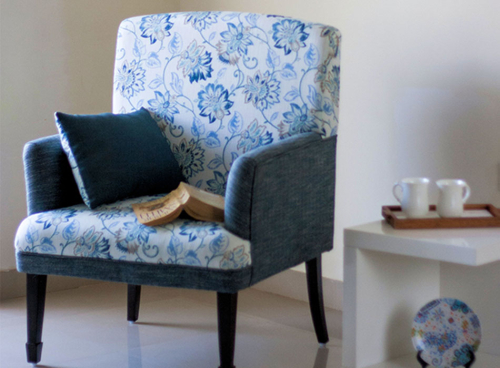 Desire a compact, customised Ascot for your home? Your wish is our command! Finishes available – Mahogany, Natural teak, Rosewood.